Lee Weil started fishing with her grandfather on Long Island ponds and piers when she was 4 years old, and began fly fishing in 1981. She learned to tie Muddler Minnows as her first flies, developing her skills with deer hair and applying it to many of her original patterns. She enjoys fishing both fresh and saltwater, and is particularly fond of Smallmouth bass. Peter Dubno has 37 years of fly fishing experience. He has fished all across America’s freshwater from the Pacific to the Atlantic Ocean. 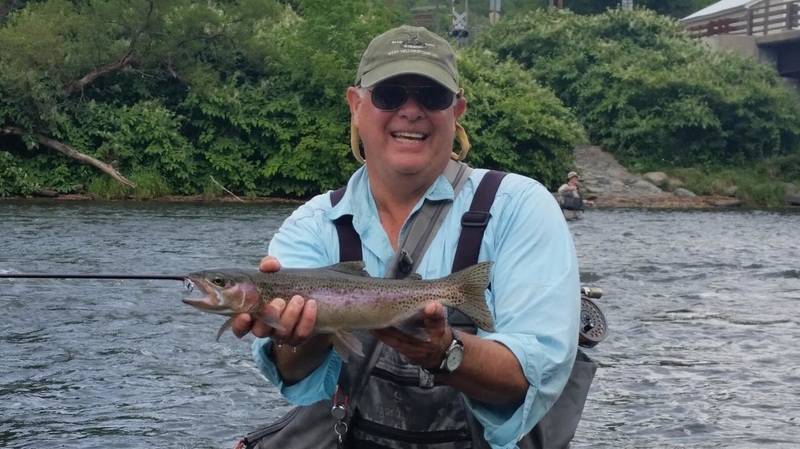 Taught by renown fly tier Val Antonucci, Peter is the inventor of the“Bubble Gum”, an attractor dry fly, which has caught trout in numerous river systems and varied conditions. As person who is well versed in Euro-Nymphing he has a good knowledge of weighted and un-weighted nymphs and how to tie and fish them. Tom was a fly fisherman at the age of twelve and a self-taught fly tier at fifteen. Two years later, he was taken into the fold of the tiers of the Federation of Fly Fishers at their conclave in Roscoe, New York. Later on Tom went on to become the Warm Water Chairman for the Eastern Council, and later a Director. In his capacity with the Federation, Tom ran conclaves, fund raisers, programs, and was asked to be a guest speaker. Tom was also the recipient of the 1999 Dr. James A. Henshall award: which is given for significant contribution to the enhancement and promotion of our warm water fisheries. John Ruff is a fly tier and guide based in the Adirondack Mountains of New York. John learned how to tie flies from the late Fran Betters and continues to tie these classic Adirondack trout patterns, including Fran’s Haystack, Ausable Wulff, and Usual. 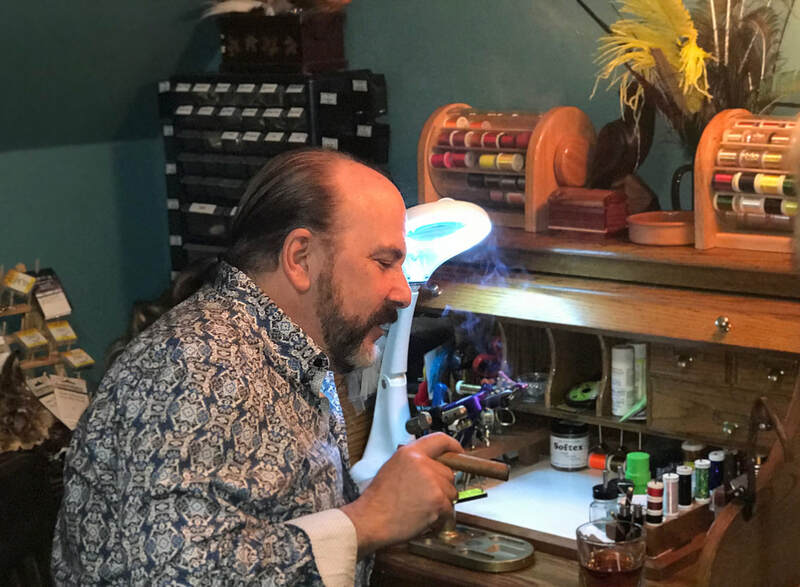 In addition to these patterns John also ties new Adirondack classics like the Sirloin and Ausable Ugly, classic streamers, and his own patterns. The flies John ties are also the flies he uses fishing and guiding. Barry started tying flies in the 1980’s. He has used his ties to catch Brook, Brown, Rainbow and Cutthroat trout, sea run trout, most warm water species , Landlocked salmon, shad, Lake Trout, Atlantic and Pacific Salmon, Steelhead, Striped Bass, Bluefish, Weakfish and in Florida waters…Snook, Tarpon, Sea Trout and Redfish. He began his fly fishing while living on Long Island and continued it in the Catskills and Adirondacks and has traveled to Alaska, Canada, Mexico and the western US to wet a fly. While living and fishing in the Adirondacks he realized how big fish just loved to eat little fish and has been tying his own designed baitfish look-alike streamers ever since. His unique and popular Wounded Smelt Streamers, Fingerling Series and Saltwater Taffy streamers are now sold through a small network of lodges and shops from New Brunswick, Canada down to Florida.